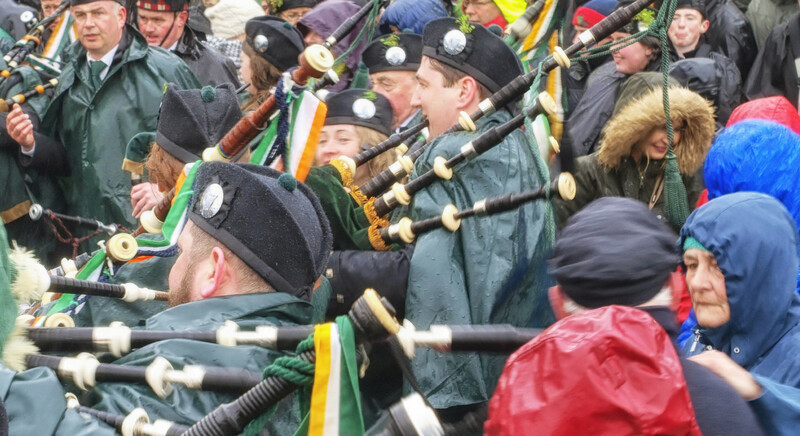 The photos from the 2015 St. Patrick’s Day parade are now online! 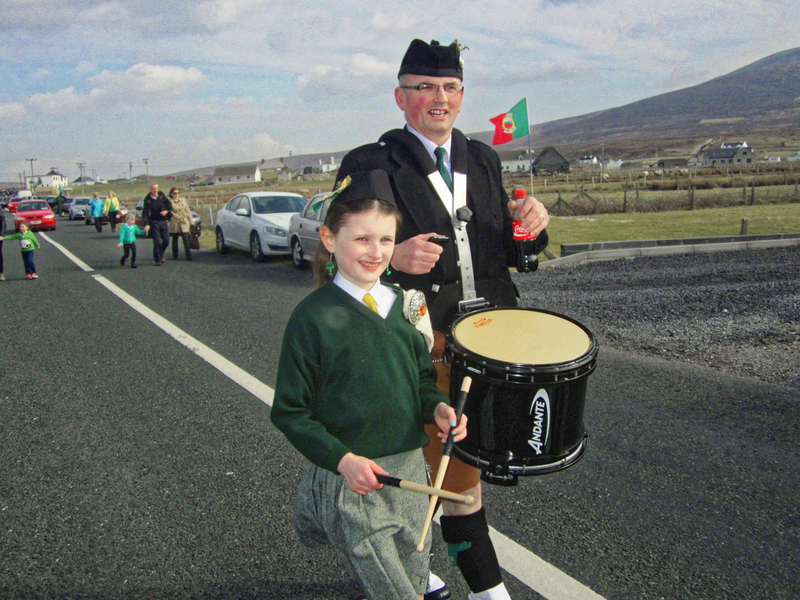 Fiona Gielty also sent me this great photo of Anthony, Mary and Brian on St. Patrick’s morning before heading back to Dooagh for the parade. 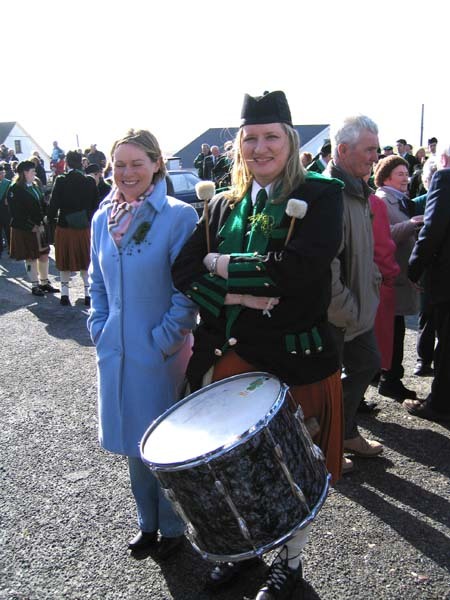 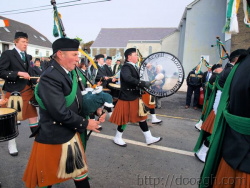 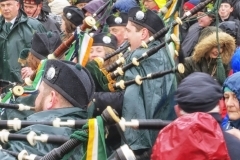 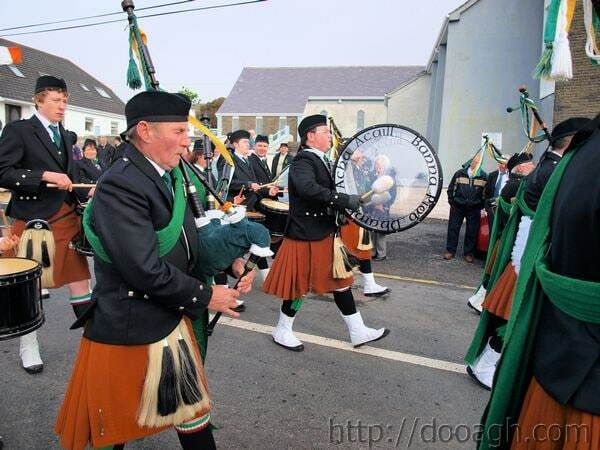 Fiona Gielty very kindly sent me this video of the Dooagh Pipe Band arriving at Pollagh Church. 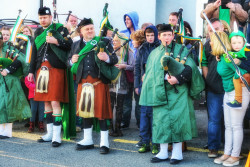 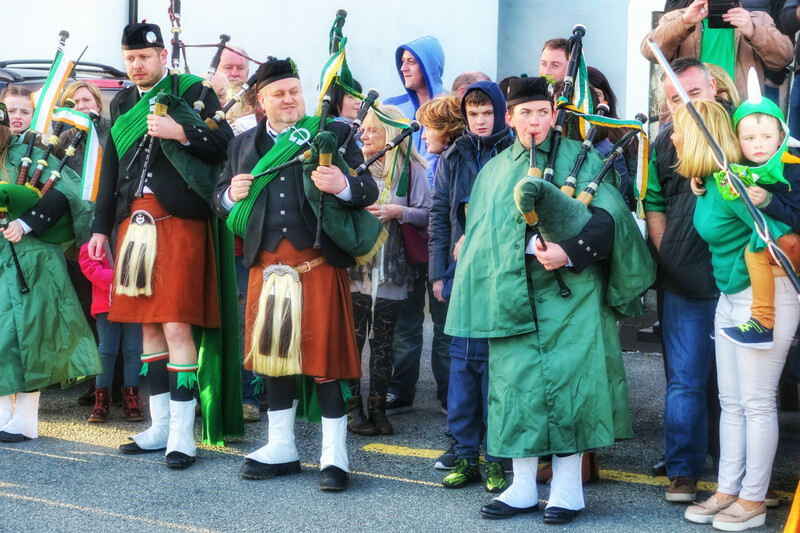 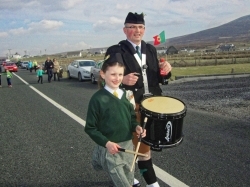 Thanks to my sister Carol Ann McNulty for those photos of Dooagh Pipe Band marching into Pollagh. 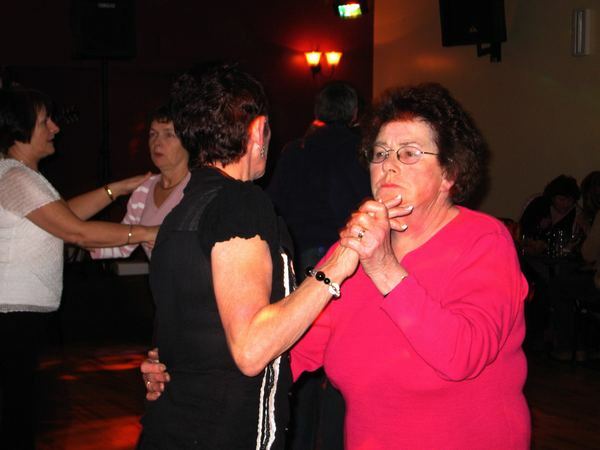 More photographs from Catherine Keane.